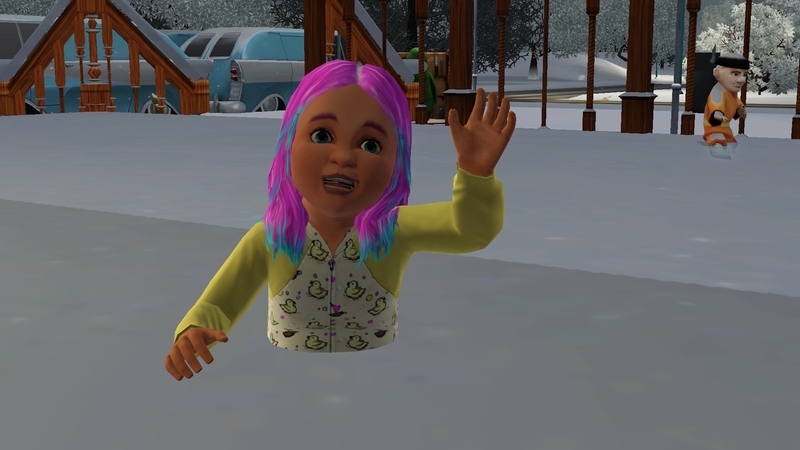 The Golden trio successfully completed their toddler years and have entered the land of impossibility. Everyone with be working on logic as they started at level 4 due to their toddler play. They also took all four classes available to them and will be listening to the podcasts on the tablet to maximize their learning. There will probably be a “quick” trip to China at some point because I am really not sure mastering three skills is possible in 6 days. Molly will take the children as she has the visa levels to stay more than a few days. Speaking of Molly. 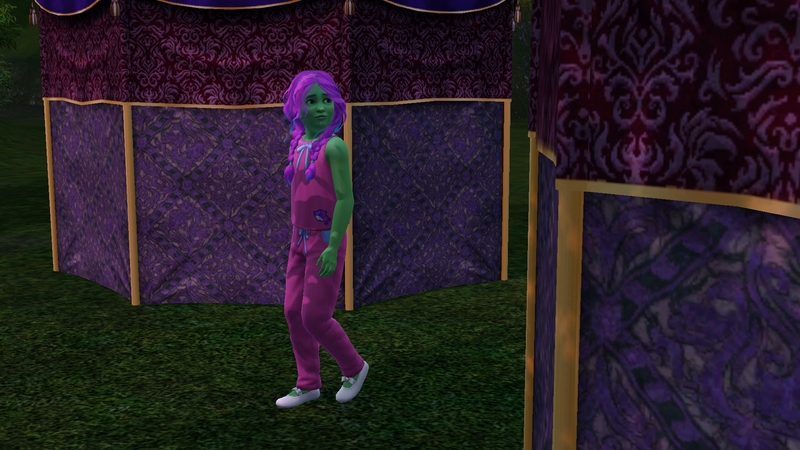 She was trying really hard to complete the Monster Mash for me. She finally nailed Voohon. 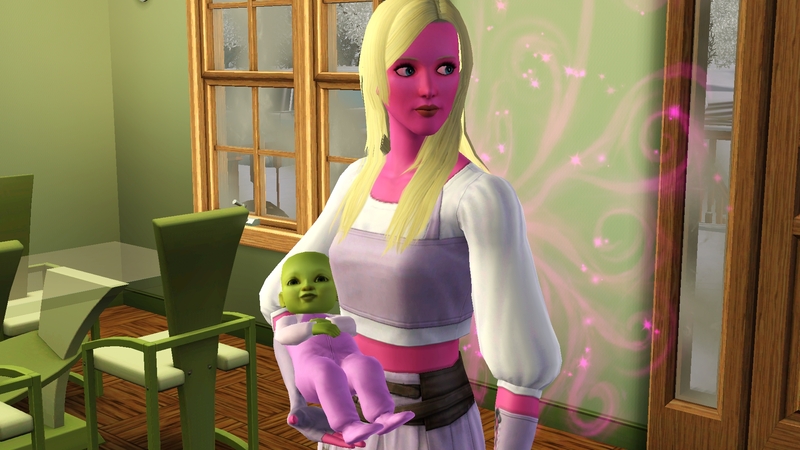 We were hoping for a ghost alien baby. This is Carrie (White ~Carrie 1976 ~ the one with Sissy Spacek). Unfortunately, Carrie is not a ghost. 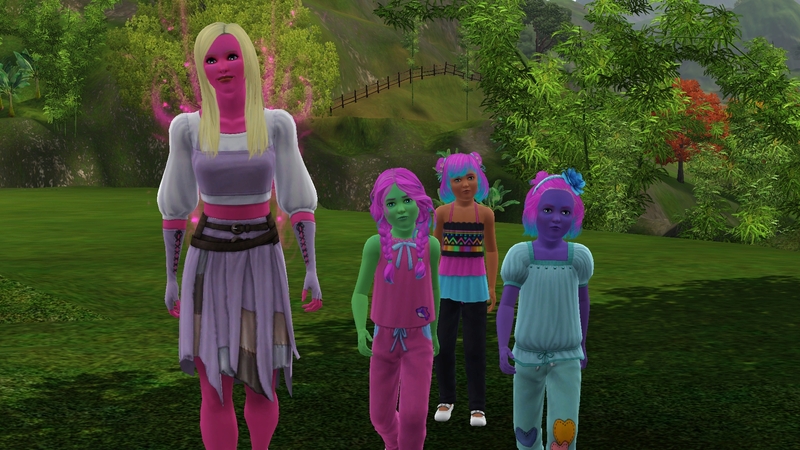 She is an alien though and carries the jock, nerd, and can apprehend a burglar hidden traits. As she was outside of the mandatory births, she rolled genius and I assigned eccentric. 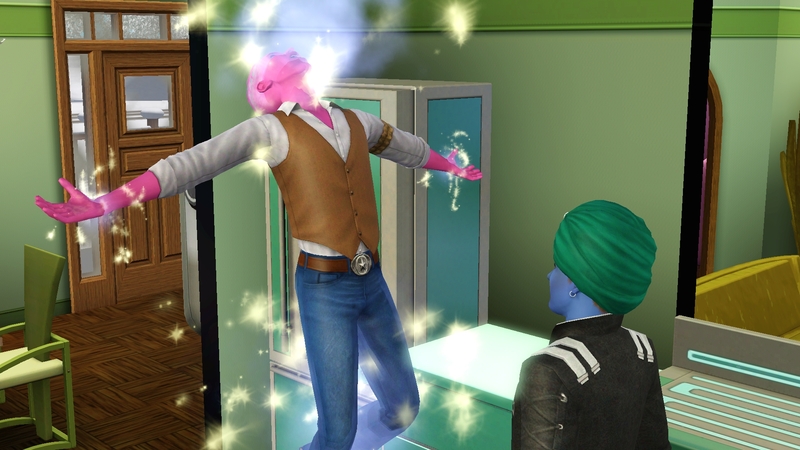 I am not ready for Oskar to become an elder so he wishes for long life from the genie. The triplets will become young adults in ~21 days and with the wish granted Oskar now has 32 days as an adult. 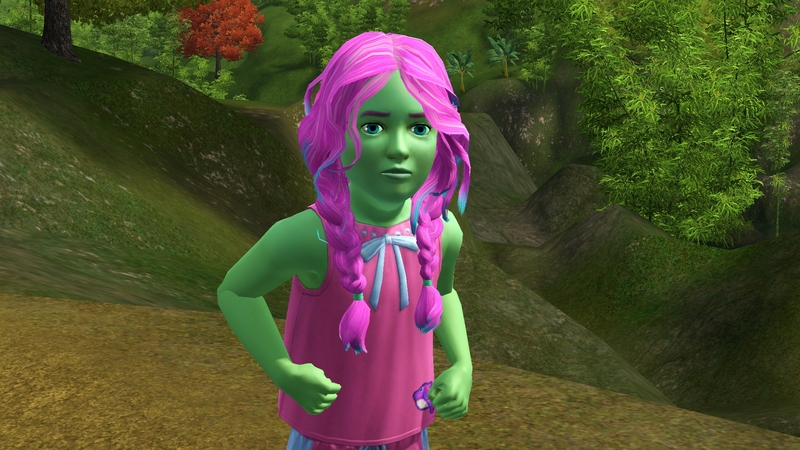 Molly as a fairy still has 54 days as a young adult. 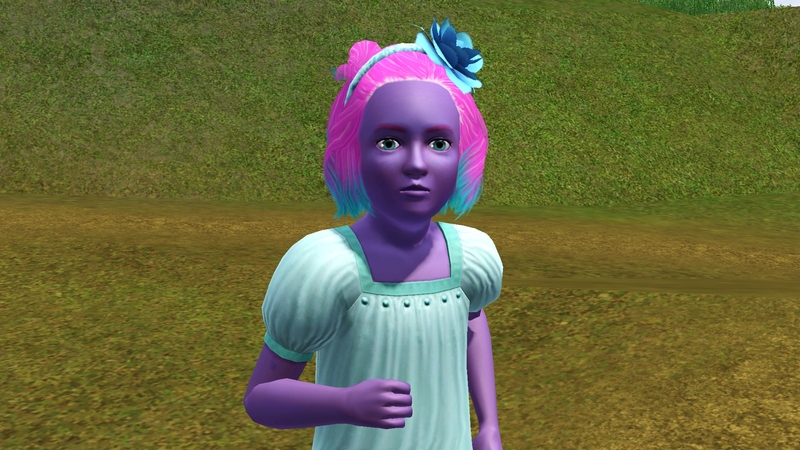 Prim will probably make the wish herself as she is set to age to elder the day before the challenge ends. While the girls head off to the scholar’s garden, Molly stops by the general store and picks up some camping tents. Then she talks with the special merchant and acquires a few sultan’s tabernacles. The girls settle in with the tablets, the telescope, and the chess table and begin working on leveling writing and logic. With nothing else to do, Molly dabbles in martial arts earning her first belt. 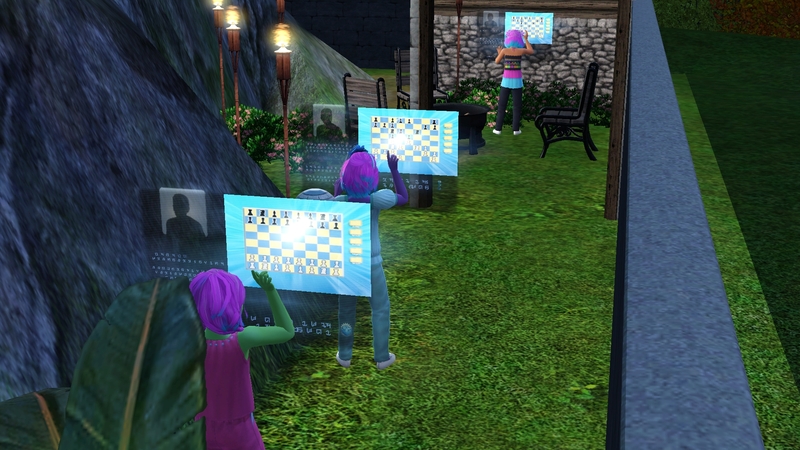 With the need to start a new tabcast fairly often, the girls eventually just play chess against the computer. One thing about the tent and tabernacle – there is no room in the scholar’s garden to set them up. The girls are easy to please and crash on the bench or lounge chairs and pop next door to shower at the academy. While I was trying to keep each of the lifetime wishes unique, this generation will all be completing the same lifetime wish. 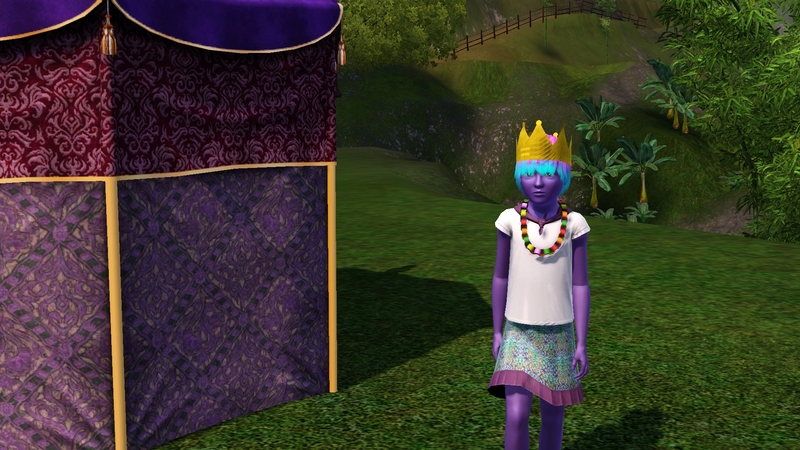 With the requirement that they have to master three skills and complete their lifetime wish all before they have their young adult birthday, they will be combining the goals into becoming Renaissance Sims. Molly decides to try her hand at fishing while monitoring the girls at the garden. Pepper was the first to master a skill – writing from the tablet. 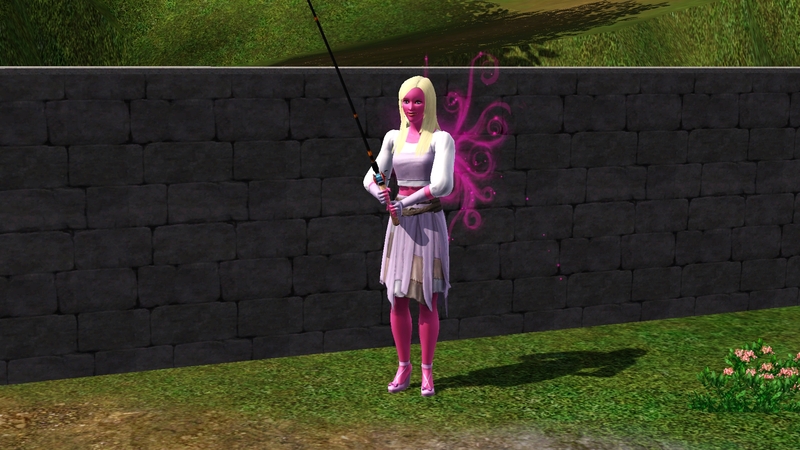 She switched to listening to logic tab casts and started fishing with Molly. Natasha was close on her heels and also mastered writing from the tablet. She begins listening to photography while she continues to play chess. Photography is a fast level and Natasha masters it before logic. This leaves logic as her last skill to master. She decides to double up on logic – listen to the tabcast while she plays chess to see if she can finally get that skill mastered. Olivia finally masters writing and decides to learn photography while she finishes playing chess also. It is definite that photography levels up extremely fast using the tablet in the scholar’s garden. Of the few skills available to the children, it is a definite one that should be included. Olivia masters photography and follows Natasha’s lead on doubling the exposure. 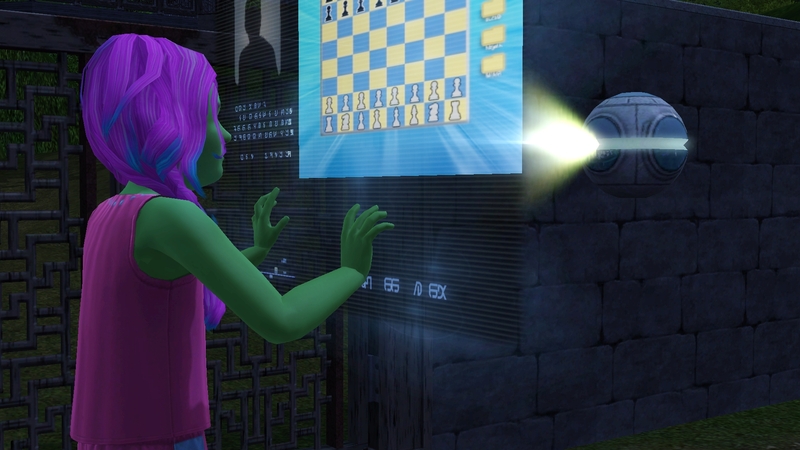 She changes to the logic tab cast and goes back to playing chess. This is why Olivia is always so far behind. Every time I turn around she is off trying to be Queen. 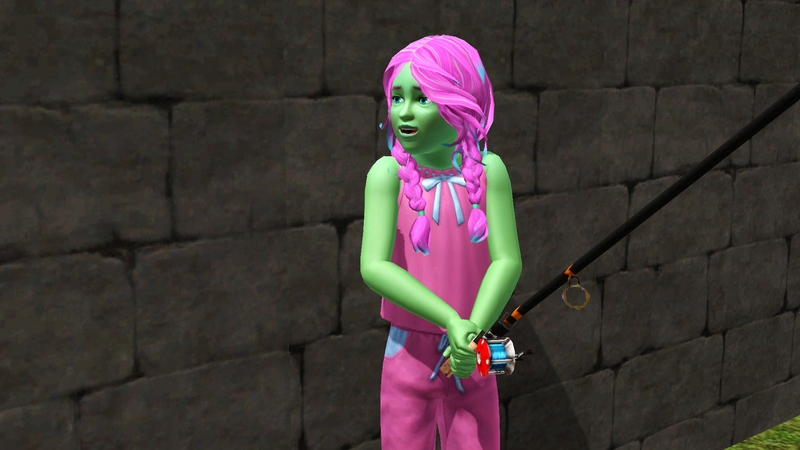 Through the course of her sister’s mastering two skills, fishing and logic are coming along very slowly for Pepper. 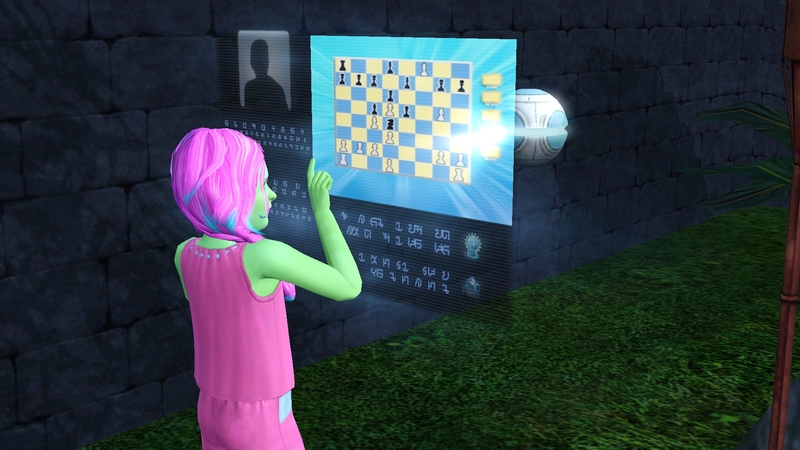 She puts away the fishing pole and changes her tabcast to photography and pulls out her holo computer for a game of chess. Pepper masters photography quickly also. And all three girls are still trying to master logic. It is definitely not a recommended skill. They set up the tents at the academy and the tabernacles at the home base. 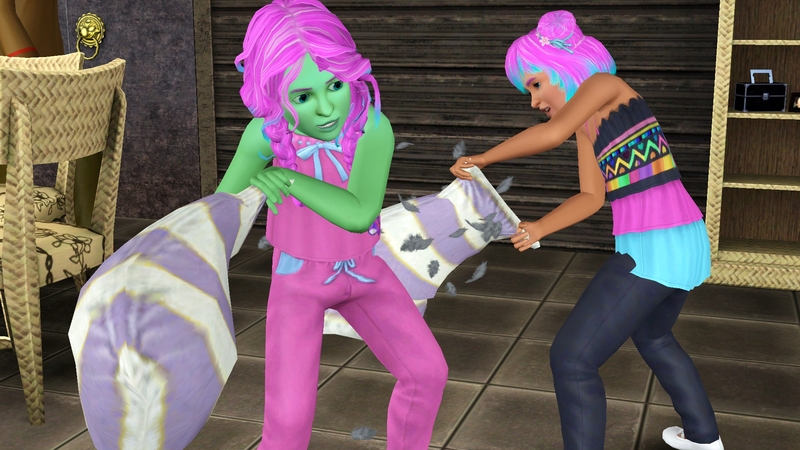 With their skills mastered, the girls let off some steam. And it is time to return home. 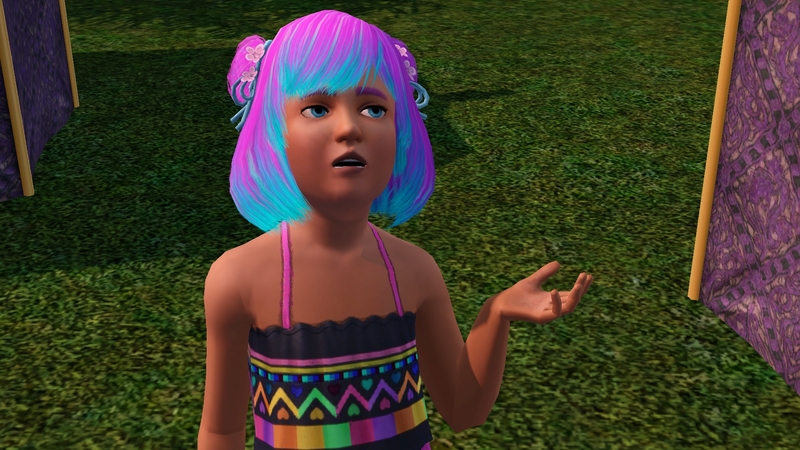 I am not sure three skills for the children is reasonable with Sims 3 without using vacation time. If the girls had to take time out from studying to attend school on top of sleeping, eating, and other necessary activities, it would be impossible. As it was, taking school out of the equation, the girls needed a week in China to master the skills. They also all completed their lifetime wish.